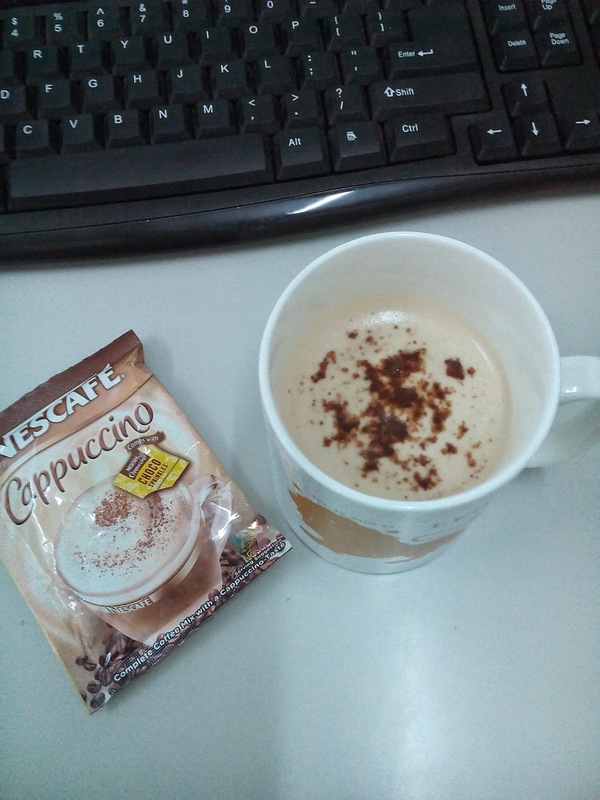 Nescafe Cappuccino is the most indulgent coffee I’ve ever had! I’m a coffee addict. For me, coffee is so much more than just a morning drink. It fixes my moods for the rest of the day. It keeps me rejuvenated, attentive, and upbeat. As an average coffee drinker, I have about 3 good cups a day so imagine me spending so much for a cup in the morning, in afternoon, in the late afternoon, and in the evening. So what is it with coffee that keeps me coming back for it? It might be the caffeine that makes me alert all day, or is it the smooth, creamy flavor, and rich milky froth like the Nescafe Cappuccino. Nescafe Cappuccino has a strong espresso taste with a bit of sweetness just like the authentic indulgent Italian coffee. It the soluble version of cappuccino that’s convenient, frothy and perfect when you want an indulgent treat in an instant! It is topped with chocolate shavings that add to its dessert-like appeal and see how the coffee foam and choco sprinkes in NESCAFÉ Cappuccino make it a more indulgent experience. To be able to find your best friend ever, you need to become one first. Do you want to be The Best Friend Ever but don’t know how? Here are some ways. Respect yourself. If you know how to respect yourself, you’ll know how to respect your friends. Be true to yourself. You’ll lose your friends when they found out that your fake. Keep your friends secrets, secret. Don’t say mean words when you fight with your best friend. Always be there. There will come a time that you will regret not spending time with your friend. Listen. Even if she’s talking nonsense. Tell her that she’s your best friend. Invites her over your house. Tell her the truth when needed. But don’t be harsh. Do not judge your friend. Remember the saying “tell me who your friends are and I’ll tell you who you are”. Take care of her when she’s sick. Give her gifts. Even little things with small value matter. Let her have other friends too. And be friends with your friend’s friend.